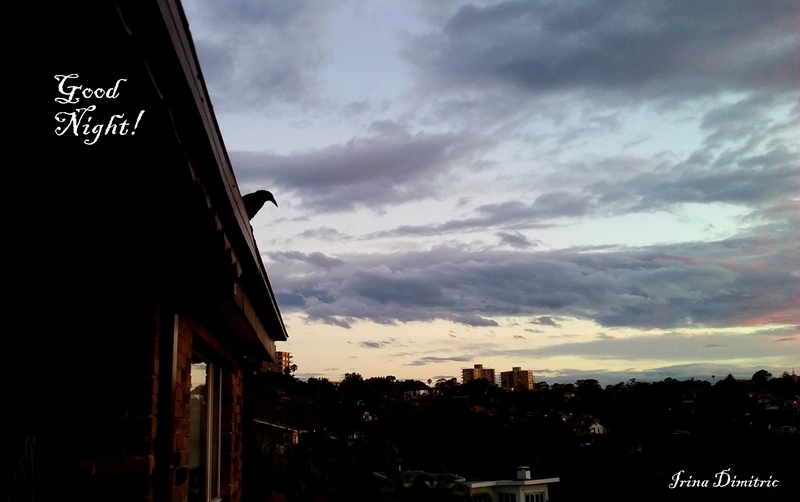 “Good Night!” calls the currawong from the roof. Season’s Greetings to all the wonderful Fellow Bloggers! 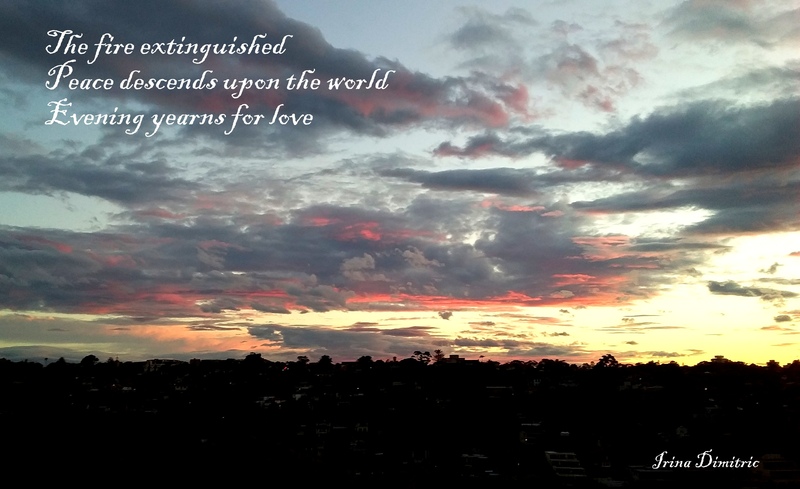 This entry was posted in Australia, Blogging, Form Poetry, haiga, Haiku, Irina Dimitric, Nature, Photo Essay, Photography, Poetry, Poetry/Photography, Visual Arts and tagged Australia, clouds, form poetry, Haiku, Irina Dimitric, love, nature, photo, photography, photos, poetry/photography, sky, sunset. Bookmark the permalink. 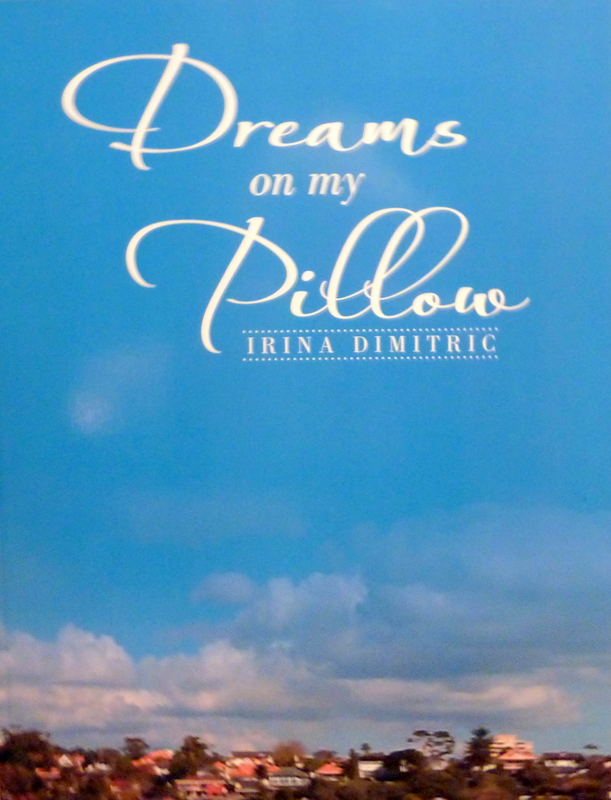 Beautiful Irina, I enjoyed your wonderful post, and a have a happy New Year. Thank you, Ivor, for your lovely comment. 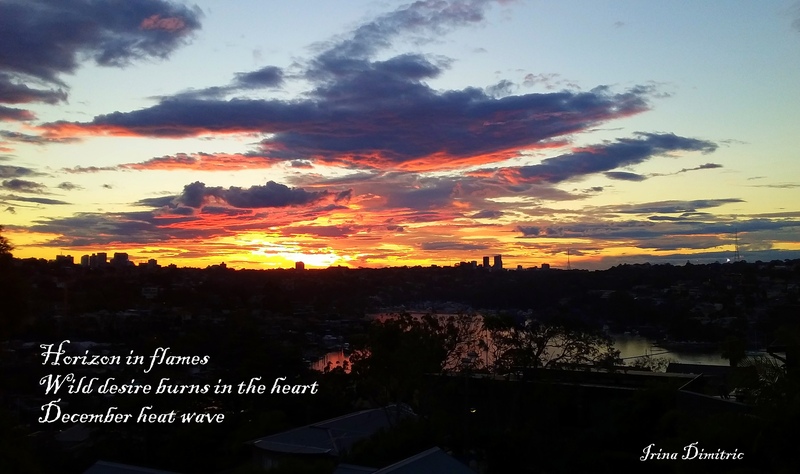 Impressive haiku! Happy New Year, Irina! Thanks, Inese. Happy New Year to you too! 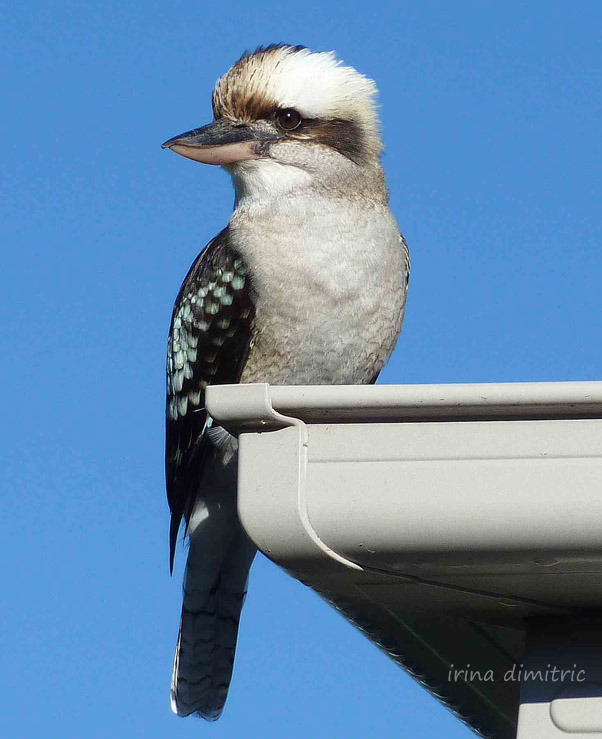 Gorgeous images and words…would love to be warm in Australia! Thanks, Jan. Today is a lovely day, not too hot. Merci bien pour ton billet d’amitie, Bernard.